Join us at NBBA’s Candidate Forum to find out more about the candidates for o ur Pasadena Community College District – co-sponsored by the Altadena Library District and the League of Women Voters Pasadena. All three candidates have confirmed their attendance, and as far as we know, this is the only public forum where they will all appear. PCC is a key resource in our community – and the Trustees that run the district are important to our Community College’s future – and we will be voting for our own representative in November. 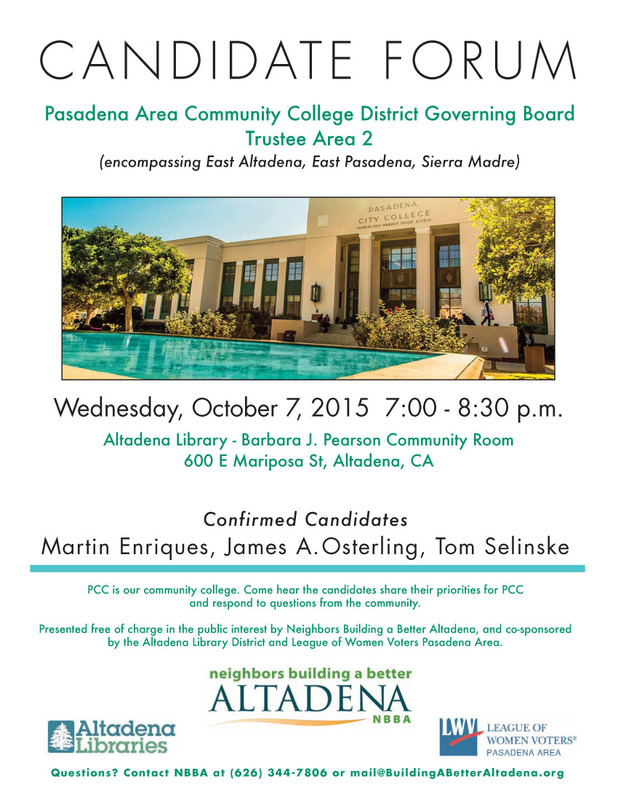 Click HERE for a PDF flyer to share with friends and family in Altadena!